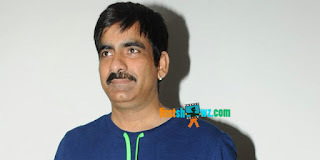 Home / News / Ravi Teja turns Robin Hood? Ravi Teja turns Robin Hood? Mass Maharaja Ravi Teja has signed up for a new movie in the direction of a debutant Chakri, and Robin Hood is the title under consideration for the project. The pre-production works of Robin Hood Telugu movie are being carried, and the makers are finalizing the cast and crew. Raashi Khanna who was seen opposite Ravi Teja in Bengal Tiger may play the leading lady in the movie. Though the Robin Hood makers initially planned to cast Amy Jackson as leading lady, the actress couldn’t allocate her call sheets due to Rajinikanth’s Robo 2.0 shoot. The makers have approached Raashi Khanna who has given her nod. KL Damodara Prasad is producing Robin Hood movie.